With HLF funding we now have new Reserve Fact Sheets for Wilwell and Wilford Claypits. Please follow these links to print of. The Rushcliffe Nature Conservation Strategy Implementation Group are looking at the feasibility of running a project in and around the Cotgrave Forest area in line with the principles of Landscape scale conservation, That is not concentrating on an individual site or reserve but the wider landscape. 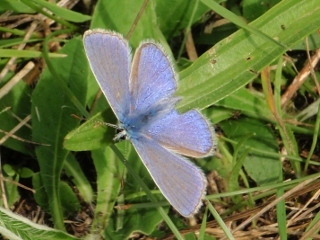 RNCSIG are using the Cotgrave Forest as a center piece for this project as it supports populations of some more unusual butterflies and it is felt that there is potential to improve links to other wooded areas. For more about this follow this link to an article Cotgrave Forest article Jun16 and also this flyer Cotgrave Forest Project Flyer May 2016. If you are at all interested please get in touch.